Shensi rugs are named after a province in China, the design itself is influenced from the French Aubusson design which dates back to the 14th century. 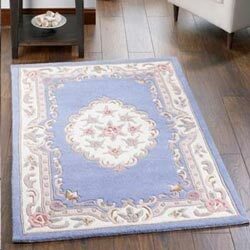 Shensi rugs are handmade to the highest standard, each rug is hand-carved from pure wool and should give many years of use. Available in a vast array of shapes and sizes.